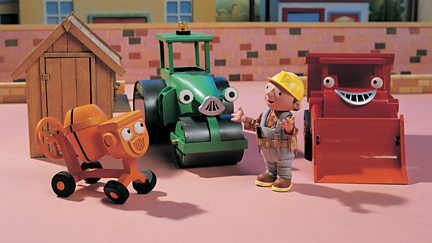 Animated adventures with Bob the Builder and all his friends as they construct a new, ecologically-friendly town from scratch. Mr Bentley is organising a special parade to announce Sunflower Valley's very first mayor. The team is renovating an old barn into a weaving studio for Meg MacDonald. Packer the delivery truck gets stuck on a narrow mountain ridge. Spud longs to be a woodsman, just like Chip Chipper. Bob is building a new dairy and Muck is entrusted with looking after the cows. Bob tries to install machinery at Meg's milk bottling plant. Artist Rupert Reekie moves to Sunflower Valley and Bob builds him a studio. Meg's new milk delivery truck thinks he is not wanted in Sunflower Valley. Dodger, Packer and Scrambler are sent to the docks to pick up an important delivery. Bob is building some salt pans by the beach and accidentally breaks the sluice gates. Dodger is sent to collect ingredients for Meg MacDonald's new cheese. Bob decides to build a beach hut as a surprise for his mum and dad.